BeenThere-DoneThat: The county of Montgomeryshire (Sir Drefaldwyn). The county of Montgomeryshire (Sir Drefaldwyn). Montgomeryshire is also part of a larger administrative area known as Powys. The shire is almost wholly mountainous and the highest point is Cadair Berwyn at 2,730 ft. Its main rivers are the River Severn (which flows east into Shropshire) and the River Dyfi (which flows west into the Irish Sea). Lake Vyrnwy, in the west, is a reservoir supplying Liverpool. The main towns are Machynlleth, Llanidloes, Montgomery, Newtown and Welshpool. It also, like Radnorshire, forms part of the larger administrative area of Powys. 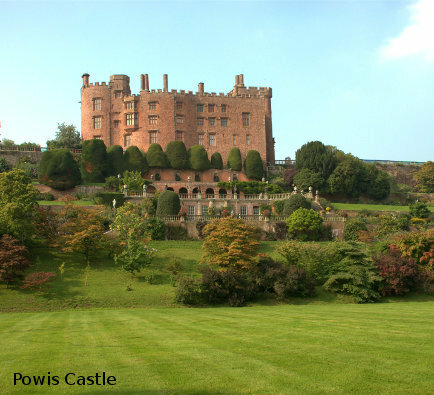 There are many places of interest not the least of which are Powis Castle, Dolforwyn Castle, Montgomery Castle, Offa's Dyke and the Welshpool & Llanfair narrow gauge railway. Tourist Information Centres in Montgomeryshire - not available on-line. Public transport in Montgomeryshire - not available on-line.